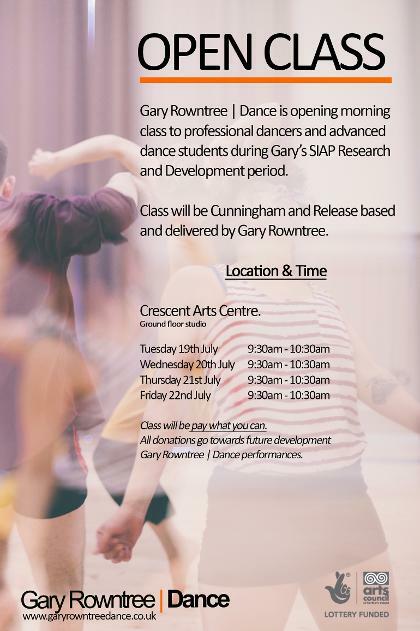 Gary Rowntree | Dance offer professional class when the company is in rehearsals in Belfast. Class will be delivered by Gary Rowntree or by a range of dance artists who work with the company. You can keep up to date of where and when class takes place here or directly follow us on Facebook or Twitter.